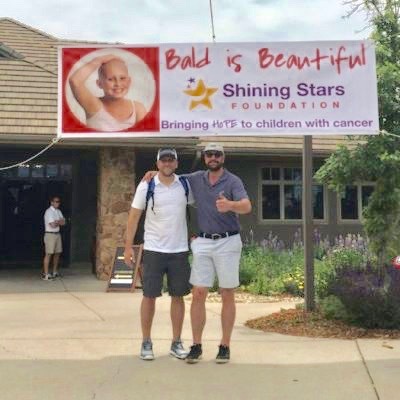 Good Chemistry Nurseries is proud to support the Shining Stars Foundation, a nonprofit whose mission is to bring hope to youth battling cancer or life threatening illnesses through outdoor programs, recreational activities, and sports. Good Chemistry’s CEO Matthew Huron, and VP of Operations Steve Spinosa participated in the organization’s annual fundraiser on June 9th. The Shining Stars Foundation provides year-round services centered around unique recreational and social activities, including: adaptive skiing/snowboarding, outdoor education, adventure sports, music, cultural and community events, animal based therapy, and more. Services are delivered through overnight, week-long programs and single day events. The Shining Stars Foundation is currently one of the only nonprofits in Colorado and one of few nationally providing long-term, year-round care for children and their families through recreational programming at any stage in their cancer battle, including treatment, relapse, or remission. They continue to be groundbreaking in our ability to safely adapt a diverse range of outdoor adventures to meet the needs of children with a life threatening illness. Good Chemistry Nurseries, a company founded on the premise of “making life better” for those in need is enthusiastic to support such an important cause. Shining Stars Foundation is just one of the organization’s Good Chemistry is proud to uphold. Learn more about those organizations and how to support them here.